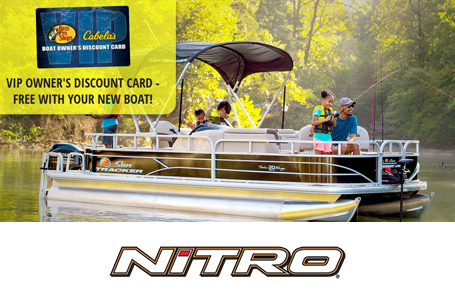 2019 Nitro Z21 with a 250hp V8 Four Stroke & tandem axle trailer. Humminbird® HELIX™ 7 DI G2 (flush mounted, credit given). Lowrance® Elite-7 Ti. (RAM® mounted). Lowrance® Elite-9 Ti. (RAM® mounted). Lowrance® Elite-12 Ti. (RAM® mounted). Lowrance® HDS-7 Carbon w/StructureScan®. (RAM® mounted). Humminbird® HELIX™ 7 DI G2. (flush mounted). Humminbird® HELIX™ 7 SI G2. (RAM® mounted). Humminbird® HELIX™ 12 SI G2N w/GPS. (RAM® mounted). NEW Humminbird®. SOLIX™ 10 SI. (RAM® mounted). NEW Humminbird®. SOLIX™ 12 SI. (RAM® mounted). Garmin®. GPSMAP® 942xs chartplotter. (RAM® mounted). Garmin®. GPSMAP® 7607 chartplotter. (RAM® mounted). Garmin®. GPSMAP® 7608 chartplotter. (RAM® mounted). Garmin®. GPSMAP® 7610 chartplotter. (RAM® mounted). Garmin®. GPSMAP® 7612 chartplotter. (RAM® mounted).